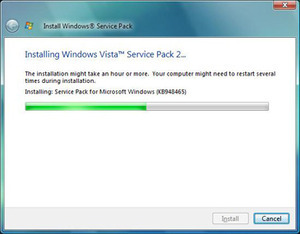 On Friday, Microsoft announced widespread availability of the Windows Vista Service Pack 2 beta through its Customer Preview Program ahead of its official release in the first half of next year. According to the latest rumours, the release candidate for Service Pack 2 will be available in February 2009 and then the final version will be rolled out at some point in April. Adds support for the 64-bit central processing unit (CPU) from VIA Technologies, which adds the ID and vendor strings for the new VIA 64-bit CPU. Adds Windows Search 4.0, which builds on Microsoft’s search technology with improved indexing and search relevance. It also helps find and preview documents, e-mail messages, music files, photos, and other items on the computer. The search engine in Windows Search 4.0 is a Microsoft Windows service that is also used by programs such as Microsoft Office Outlook 2007 and Microsoft Office OneNote 2007. 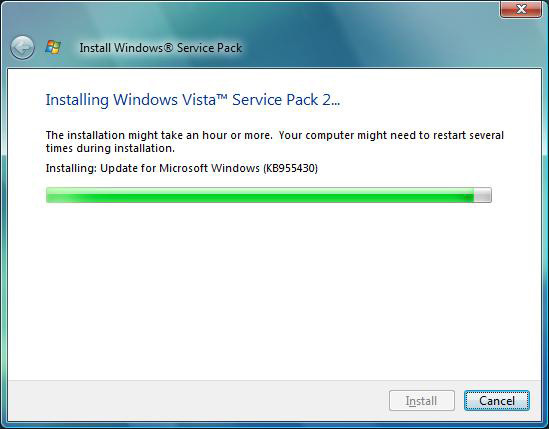 Integrates the Windows Vista Feature Pack for Wireless, which contains support for Bluetooth v2.1. Bluetooth v2.1 is the most recent specification for Bluetooth wireless technology and Windows Connect Now (WCN) Wi-Fi Configuration. Adds new capabilities to DirectX Graphic display reliability. The graphics experience has been greatly improved for users, such as gamers, running applications that require a lot of graphics processing. Provides an improved power management policy that is up to ten percent more efficient than the original in some configurations (both on the server and the desktop), and includes the ability to manage these settings via Group Policy. Enables the exFAT file system to support UTC timestamps, which enables files to be synchronised across time zones (more useful for Server 2008 than Vista). Improves audio and video performance for streaming high definition content. Includes ability to record data to Blu-ray media. 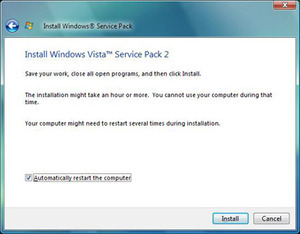 The list above is a selection of what we believe are the most important changes on Microsoft's Windows Vista Service Pack 2 Notable Changes List. Aside from the notable changes, there are other additions as well – Service Pack 2 contains all of the fixes focused on addressing specific reliability, performance and compatibility issues that were released after Windows Vista Service Pack 1. 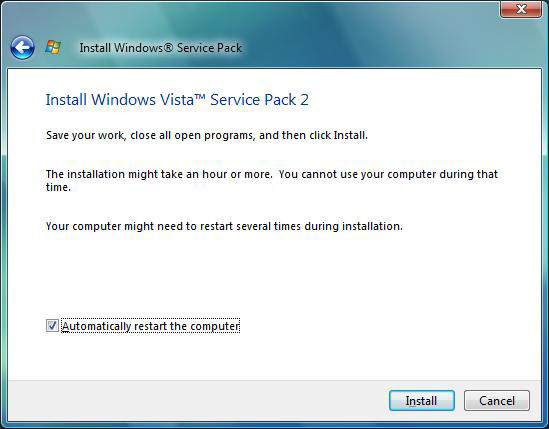 What's more, because Microsoft adopted what it refers to as a single serviceability model, the new Service Pack can be rolled out to both Windows Vista Service Pack 1 and Windows Server 2008 Service Pack 1 installations. There are a number of ways to get hold of the Service Pack 2 beta – the recommended way is to download the standalone package from TechNet. 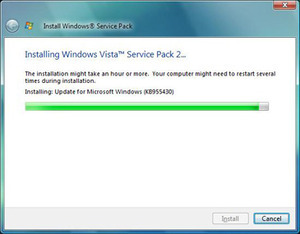 Since this is a combined update for both Vista and Server 2008, there are versions for x86, x64 and IA64 installations which weigh in at 302MB, 508MB and 384MB respectively for the five language versions. The latter isn't applicable to most bit-tech readers, though. If this method doesn't suit you, there are other ways to acquire the SP2 beta. First of all, Microsoft offers an ISO that includes all three versions of Service Pack 2 beta (x86, x64 and IA64) if you're planning to deploy the update across many different systems – simply download the ISO and burn to DVD. Finally, there's also the option to download the update via Windows Update if you're short of bandwidth and prepared to jump through a few hoops. 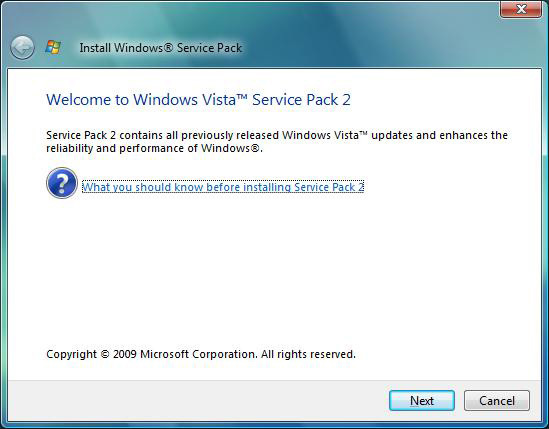 Today, we will focus on looking at how the new Service Pack 2 beta performs compared to a standard Windows Vista Home Premium x64 Service Pack 1 installation – we're not expecting vastly improved performance, but at the same time we're hoping that performance doesn't take a turn for the worse. We'll be testing some of the new features that come with SP2 over time and we'll report back with our findings at a later date. We've seen how Windows Vista SP1 performs in games but what about the core system performance? We test boot times, disk copying, USB, network, photo editing, file compression, audio and video encoding to see what has changed.